It seems I've fallen off the blog train lately. Sorry about that! I've been consumed with organizing BlogPodium, a few projects I can't quite talk about yet, and, well, just enjoying what's left of the summer! Less than a month until school starts again. How can that be?! Sean has been on the search for a model yacht for a long time and we picked this one up for $30 at Kempenfest. It needs a few repairs and Sean is eager to repaint the hull (I vote for navy blue and white!). Knowing how awesome he is with model building and small-scale projects, this one is sure to look good as new by the end of it. I've been stalking this GlucksteinHome outdoor patio set ever since I laid eyes on it a few weeks ago. But there was no stock anywhere, they didn't know if more was coming in, and they weren't willing to sell the floor model just yet! 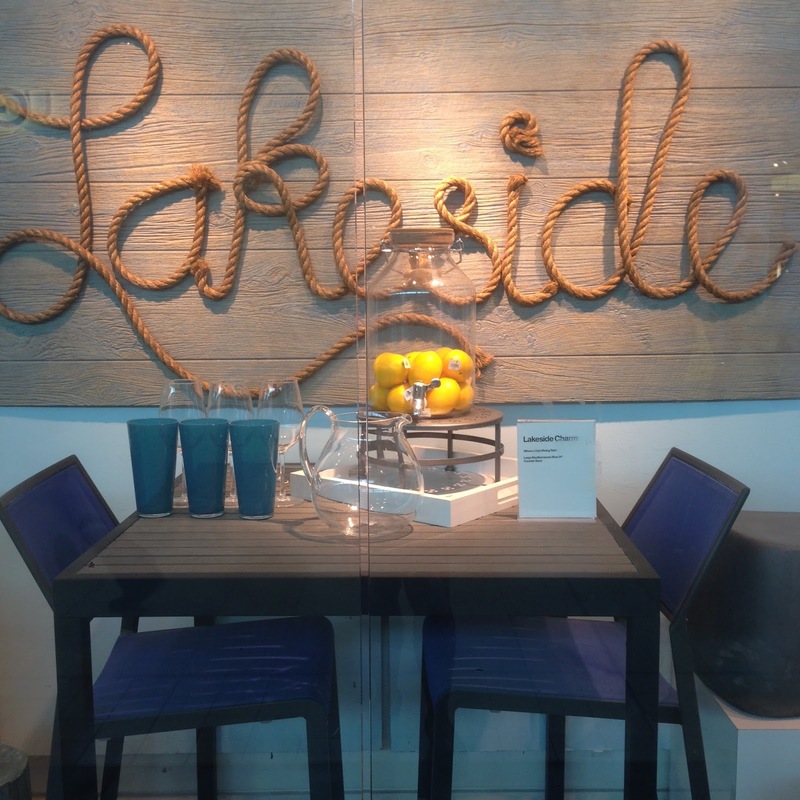 Luckily, in an impromptu trip to the mall this past weekend I decided to see if more had come in and saw that other outdoor furniture floor models had sold stickers on them. I asked around (while I commanded Chloe to drape her body across the sofa so no one else would take it!) and finally got to buy the floor model. At half price - sa-weet! You've seen this chair in a previous post and while some of you had the great suggestion to just fix that missing black weave with a Sharpie, I couldn't do it. I tried to return it to Amazon.ca and here's where things got complicated: Amazon provided a printable Canada Post return label and after hauling the rather large chair in a box across the city, talking to several customer service reps who assured me it could be mailed, and taking it to no less than three post offices, I found out it was too oversized for Canada Post to handle. After a frustrating discussion with Amazon.com, they finally relented that there was no way for me to return the chair (via Canada Post, UPS or any other delivery service) and said I could dispose of the chair myself and get a refund. Awesome. And so I still have this very usable chair which I think I'll put up in the reading loft at the cottage. The bistro chair dilemma meant that I still didn't have any chairs for our outdoor dining area. 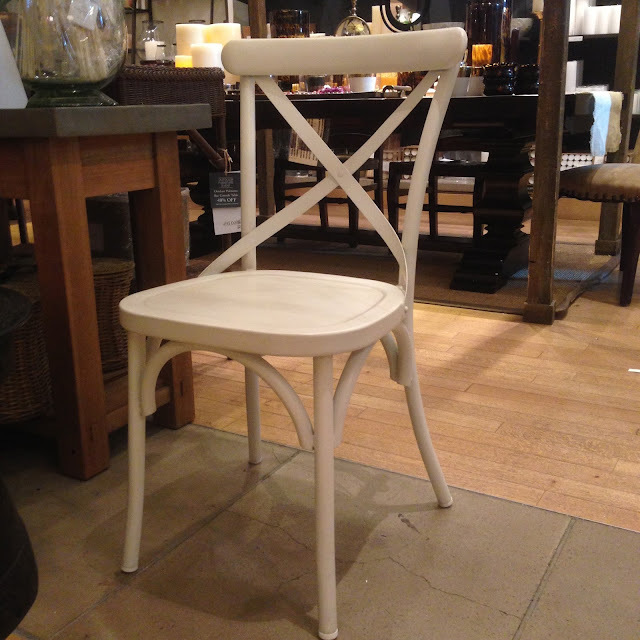 Then we spied this metal x-back chair at Pottery Barn. It too was a floor sample on sale for over half off but you could order new ones at the same price. What? Sign me up! The dining area is beside the outdoor lounge area so I'm liking how this creamy chair pairs nicely with the GlucksteinHome set cushions. 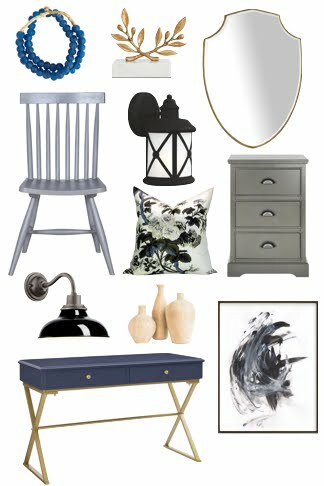 I think I need a black metal outdoor table to bring the whole look together. Lake house it is! Yup, that's almost an identical model of our thrifty find that we bought at a fraction at a cost. I'm hoping this is just the beginning of the shopping deals!